A complete bay with an overall size of 3048mmH x 838mmD x 2903mmW. It includes 2 uprights (3048mm x 838mm) and 8 beams (2743mm x 120mm). It has a 2763kg load capacity per level with a maximum bay load of 8000kg. Pallet Racking Complete Bay. 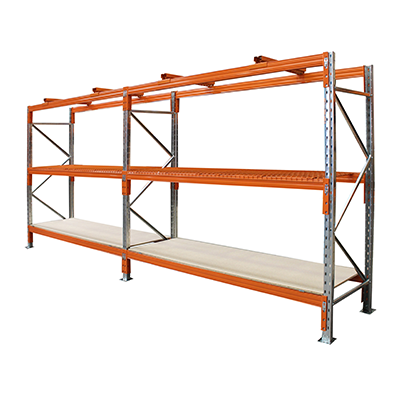 A complete bay with an overall size of 3048mmH x 838mmD x 2903mmW. It includes 2 uprights (3048mm x 838mm) and 8 beams (2743mm x 120mm). It has a 2763kg load capacity per level with a maximum bay load of 8000kg.